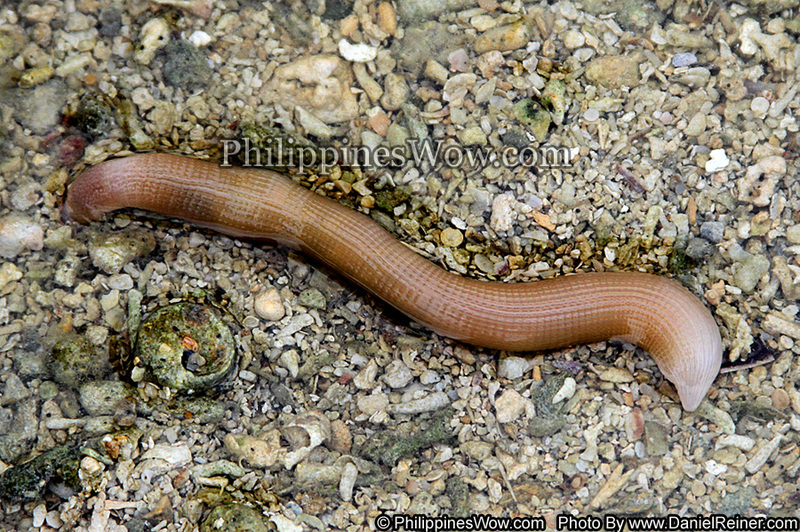 This is an image of a Philippine Sea Earthworm that was taken in very low tide as the water was receding. Half of the earthworm is still in the ground and these look and act just the same as normal earthworms on land. It is totally amazing how life will adapt to its environment to be able to mutate and survive.